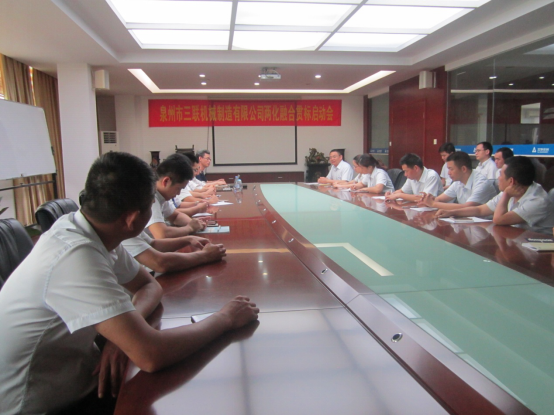 8th June 2017, Quanzhou City Sanlian Machinery Manufacturing Co., Ltd. convoked informatization and industrialization integration starting meeting. Relevant departments of the company, business executives and project guidance training, a total of more than 30 people attended the meeting, and received counseling, training, the basic training of business. he company has implemented the plan of 《made in China 2025》 issued by the national Ministry of industry and Commerce and implemented 《Fujian Province informatization and industrialization integration Action plan（2013-2018》. 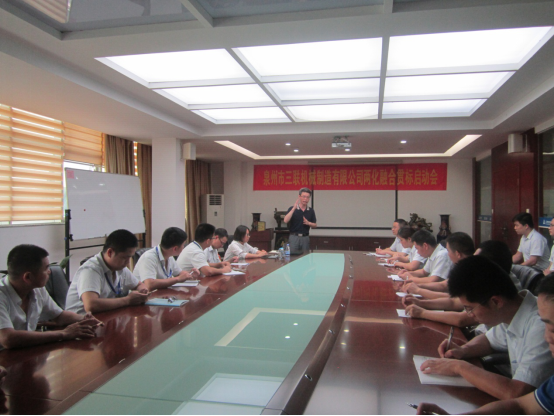 The Director Assistant of the Cmpany, Dai Xueyi, presided over the meeting and introduced the status of informationization and industrialization of Quanzhou City Sanlian Machinery Manufacturing Co., Ltd. The consultant's project manager, Teacher Huang, has made a deep introduction to the background, policy of informationization and industrialization integration, and the methods of the standards implementation on the management system of informationization and industrialization integration. The Project Manager, Mr. Fu Xiaobin, announced that S.L Machinery has officially launched the management system of informationization and industrialization integration, marking that S.L Machinery has officially stepped into the stage of standards implementation on the management system of informationization and industrialization integration. The Director Assistant Dai Xueyi emphasis on the meeting: the Standards Implementation time is tight, heavy mission and more content; each department shall strength leading, make good organization support, and implement the specialist is responsible for the detailed work; establish the leading group for the coordination of Standard Implementation, and organize the training, grasp the essence of documents, improve working efficiency, supply the detailed data under the guidance of the professional service organization, then apply in time to pass the acceptance once.